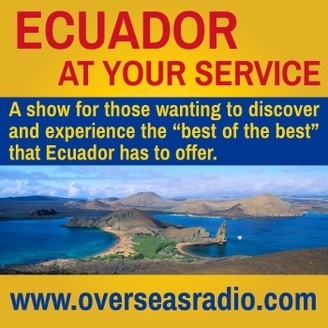 Ecuador At Your Service is a weekly, one-hour radio show dedicated to “Everything Ecuador”. Each week Michel and Ashley present some of the country’s top experts that provide practical, advice-driven information on everything from real estate, getting a Visa, relocating with a container or a pet, or planning an adventure vacation; to medical tourism, food, music, and cultural information. The program also features interviews with a wide variety of expats … both new arrivals and veteran “Gringos”, who reveal valuable insights into everyday life and how to live, work, retire or invest in Ecuador. Nowhere on earth can you find more diversity in such a small area than in Ecuador. In a single day you can experience the Amazon Basin, glacial Andean volcanoes, tropical cloud forests, and a sunset on the Pacific Ocean beaches. And, nowhere on the radio, can you find more information about this extraordinary country. 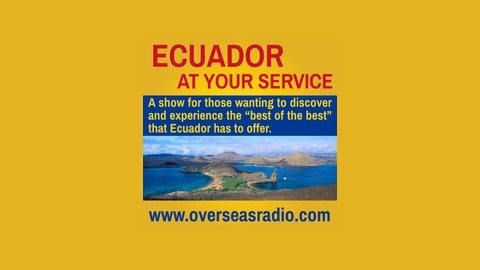 So tune in … every Monday from 11am to 12pm … and get an armchair, “South of the Equator” tour with Michel and Ashley, or check out their website Ecuador At Your Service (ecuadoratyourservice.com) and discover what you might just be missing … Ecuador.